1. 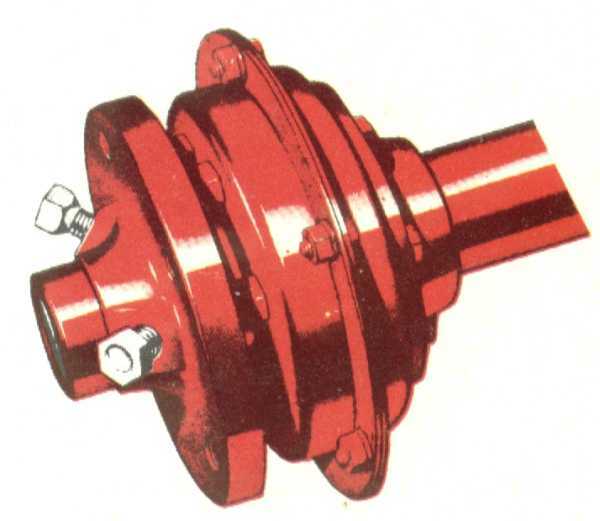 FRONT POWER TAKE-OFF: This output shaft from the engine drives Rotary Snow Thrower and other front-mounted powered attachments. Will be used to drive others in the future. Can also be used to drive implements, such as farm elevators. 2. 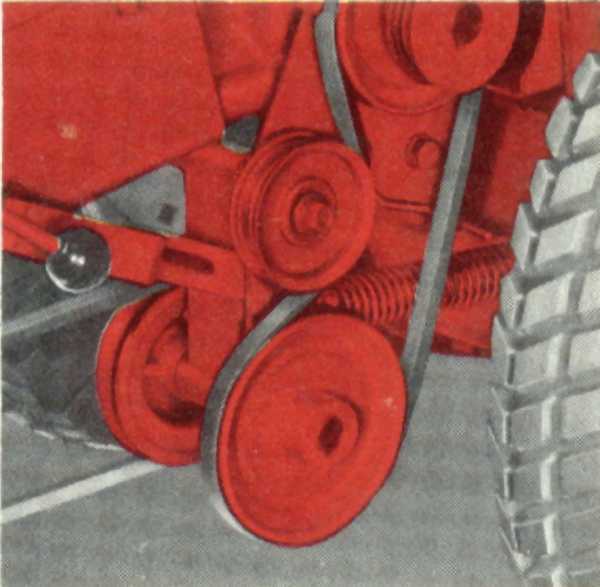 CENTER POWER TAKE-OFF: Operates center-mounted attachments which are free-floating and follow ground contours--thanks to Simplicity's patented mounting. 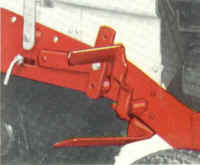 Two-step pulley permits Rotary Mower and Sickle Bar to use this feature. 3. 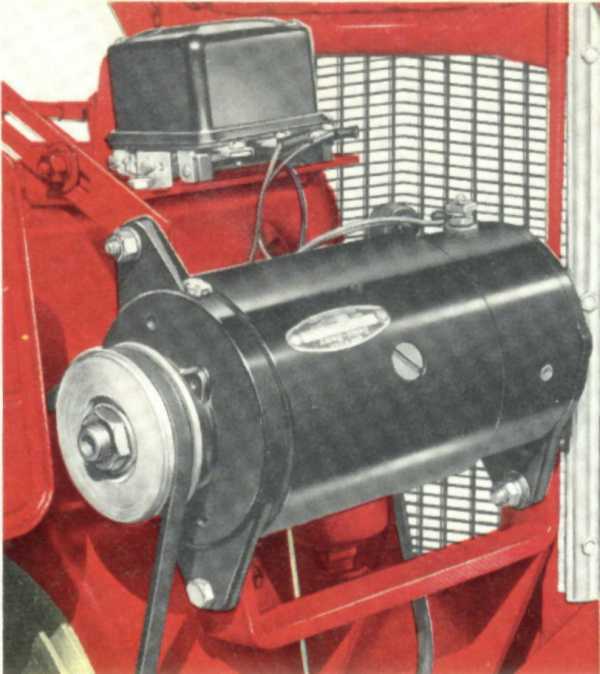 REAR POWER TAKE-OFF: Comes from the driveshaft which delivers power to both sides of the tractor and is directly connected to the engine. Ideal for driving the 32" Rotary Tiller. May be used for other attachments as well. EASY ACCESS TO PARTS: Flip-top bucket seat and removable hood provide full, instant access to parts. The engine is mounted to blow engine heat away from the operator. Wide seat is amply padded with foam rubber and rises high in the back to give good support and comfort to driver. 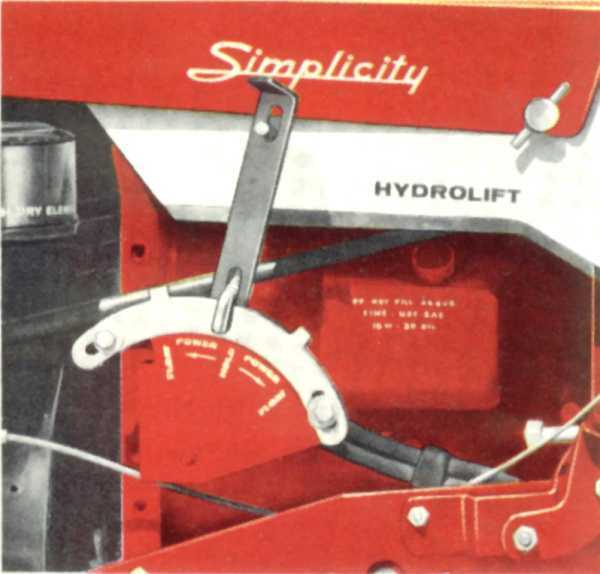 HYDROLIFT CONTROL: Gives you fingertip control when raising front, center or rear-mounted attachments, with as little effort as "power steering." 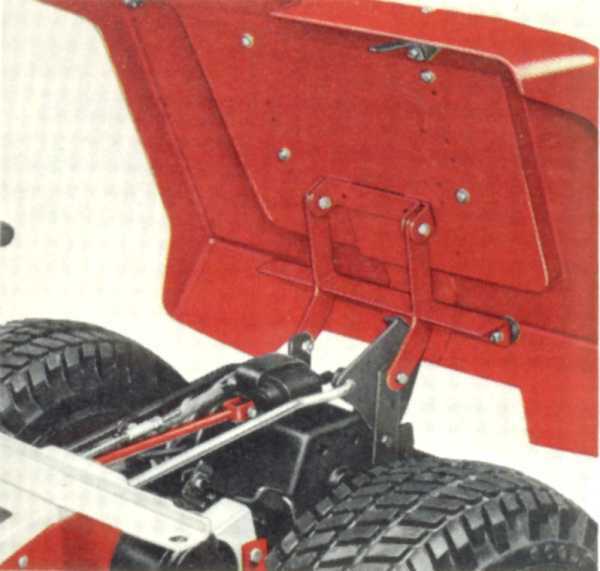 This hydraulic lift feature gives you perfect control, allowing you to raise or lower attachments to any desired position and hold them there. ELECTRIC STARTER AND GENERATOR: Gives you fast, effortless starts at the touch of a button. You still have a hot spark even if all the current is used to crank the engine. 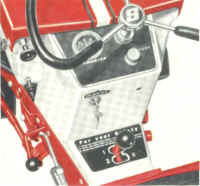 The unit is equipped with key ignition for added safety and protection. CONVENIENT CONTROL PANEL: Ignition key switch, push-button starter, choke and throttle are all grouped on the control panel within easy reach. Easy-to-see fuel gauge on gas cap in hood tells you exactly how much fuel you have. 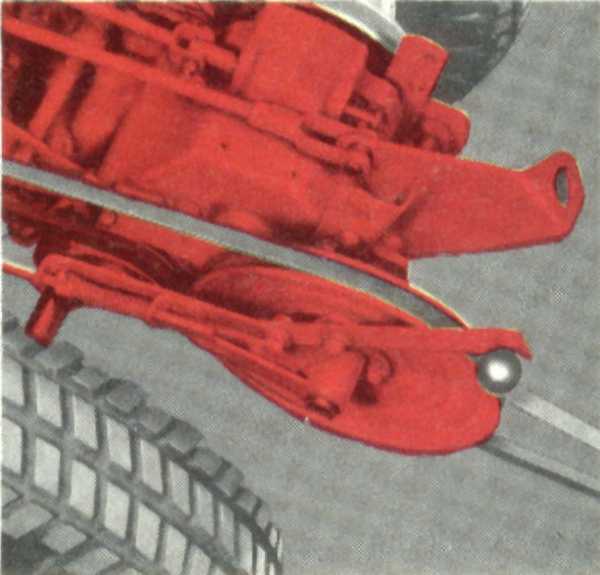 COMBINATION CLUTCH AND BRAKE PEDAL: Push it half-way down, you disengage the clutch. 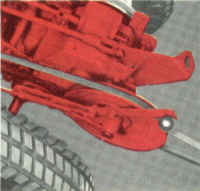 Continue to push it, and you apply any degree of braking from a feather touch to full braking. 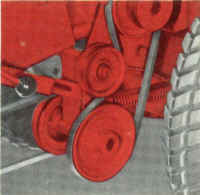 The pedal is located on the right, or "brake side" of tractor where its operation immediately becomes second nature. 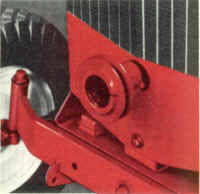 CONTROLLED TRACTION: Spur gear differential provides driving torque to both wheels, yet retains true differential action. 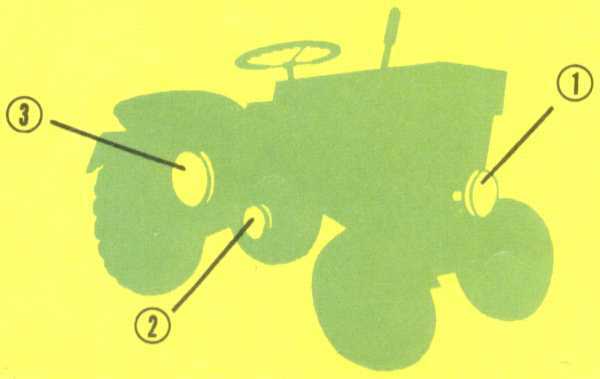 This controlled traction feature allows one wheel to keep driving when the other is on a slippery surface, enabling the Sovereign and Landlord to pull through spots where other tractors without this feature will stop and spin.